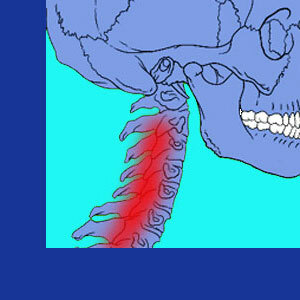 Coping with neck pain is never as productive as curing the symptoms. However, finding a cure for many varieties of chronic pain can be a seemingly impossible goal for most patients. Therefore, a great number of people turn to various coping strategies to make it through each day of agony. Coping mechanisms can be productive and positive. However, many are negative in their health consequences and can place the patient into a position of further risk. Finding effective and productive methods of coping with chronic pain is a challenge unto itself. This is because many of the most dangerous methods of coping are also the most commonly used and the easiest to implement. This commentary assists chronic pain patients in finding mechanisms that will help them to live better, even if they can not resolve their suffering. We will identify hazardous coping practices and also detail positive means of dealing with the ravages of lasting pain. First, we will take a detailed look at some of the negative and unproductive methods of coping with chronic pain. These coping strategies are known for having negative consequences on mental and physical health and should never be used for longer than needed. Pharmaceutical therapy is certainly the most common of all coping enablers. 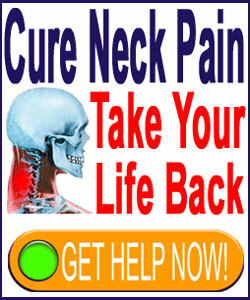 Drugs are widely utilized for treating chronic neck pain, even though these substances will never provide a cure. Drug therapies can be expensive and the limitations of these pharmaceutical products are rarely explained to patients. In fact, we get at least a few emails each and every week, asking why a person still has pain if they have been taking a particular drug for years already. Doctors and pharmacists must do a better job informing the patient that drugs are merely symptomatic treatment and will never resolve the cause of their pain. Our main problem with drug therapies is the many varied and incredibly serious health risks that these products can cause to the people taking them. Addiction, withdrawal and the possibility for overdose are actually quite kind, when compared to organ damage, blood poisoning and death. It is important to know that drugs are generally bad for you. This includes virtually all prescription varieties. Have you ever taken the time to read the warning labels that accompany your prescriptions? If not, then get to it and look for a better solution to coping with chronic pain. Another negative coping strategy is staying in bed and withdrawing from life. Becoming bed-bound will never cure chronic pain. Statistics actually prove that being bedridden causes chronic pain and exacerbates virtually all known health problems. Meanwhile, the very same proven research statistics show that activity helps to relieve pain, even if it does not act on the source process directly. Rejoining the human race is crucial in order to recover from any type of health crisis. Desperation treatments rarely provide positive outcomes for any patient. People who will try anything to be free from their chronic neck symptoms often acquiesce to extremely risky surgeries, or other hazardous treatments, despite having no guarantee that the therapies will help them. The thought is that things can not get any worse, but trust us; they can and do. We have received literally thousands of correspondences over the years warning fellow patients not to act out of desperation. Drastic operations often produce nightmarish results that make the chronic pain seem like an auspicious fate. We have seen complete disability, incontinence, paralysis, sexual dysfunction and death all occur when patients reach the end of their proverbial ropes and agree to do whatever it takes to find a cure. Things rarely turn-out well, when desperation is the driving force behind treatment, instead of research, knowledge and a positive probability for a good result. Acting out, fighting and being a generally miserable person are traps that many patients fall into, when faced with pain each and every day. Breaking these behavioral imperatives is crucial, since these will only alienate the patient further from those who love them. When a person suffers, it is easy for their relationships and family to suffer, as well. It is vital to maintain an objective view of life and not make each and every moment all about pain. Allowing the pain to dominate life is a recipe for enduring misery, not happiness or relief. Pain management should be discussed with a physician who is not pharmaceutically-inclined. However, this kind of physician can be difficult to find. Most doctors would rather write a simple script and be rid of a patient until the prescription needs to be renewed. This type of care makes doctoring quick, easy and profitable. Do not support these doctors who ignore proper diagnostic process and curative treatment in favor of creating pharmaceutical zombies. Some of the far less risky pain management approaches include: massage, chiropractic, acupuncture, exercise, meditation, TENS, inversion and even dietary change. Since there are many alternatives to drug use, each patient might have to find the solution that work best for them, while not compromising their overall health and wellness in the process. Trying to remain active and motivated in life are both very positive mental focuses. Research shows that the psychoemotional state of a person can have profound effects on their ability to resist pain, as well as their capacity to live with existing pain. Meanwhile, surrendering to chronic symptoms will often result in a clinical reduction in the degree of pain that can be successfully managed by a given individual. Clearly, it is better to live a full life, despite pain, then to have heightened pain with no joy at all. It is very important for a patient to appreciate those who support them. Never lash out at loved ones due to having a bad pain day. If faced with the sudden urge, pause and consider how lucky you are to have people in your life who only want the best for you. Imagine what life would be like if your constant complaining and arguing drove these people away forever. This attitude adjustment is vital for all chronic pain sufferers to embrace. Before a single reader announces that “this author does not know what it is like to live with chronic pain”, I will gladly put them in their proper place. Personally, I have lived in terrible pain since the age of 16. I have no sympathy for chronic pain sufferers. Instead, I have full empathy for them, since I lived this hell also. Now, I am fully cured by my own hand and efforts. Despite my pain, I embraced holistic coping strategies. I swam. I walked. I talked to people politely about my pain. I did not yell at them because of it. I try to help others through my patient advocacy work. I fear the state of our sad medical industry and the abysmal status of the back and neck pain sector, in particular. Therefore, I work diligently to help make changes that will, in turn, help patients to live better. However, this essay is certainly not about me. It is about you. You are the one who must find your way through the terrible maze of suffering and emerge on the other side, even if your pain is still ever-present. Pain is something you have; not something you are. Never forget this fact. It can save your life. Embracing positive methods of coping, such as coaching and knowledge therapy has literally saved my life. Take a few moments to really consider how you cope with your neck pain. Be objective and examine the value and consequences of these methods. If necessary, make change to move your life in a positive direction, away from heath risks of all varieties. When I was still suffering, I said to myself every day: “I hate to have to cope with neck pain, rather than achieve a cure. However if this is my path, then I will learn from it and endure. I will not bow to the pressures of a medical juggernaut that would prefer that I just give them all my money and take their deadly pills until I die. No, this will not be my choice”. I hope it will not be yours, either.